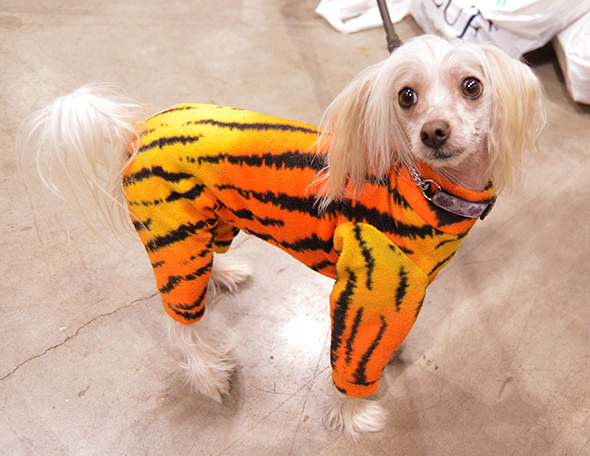 Woof, woof, were you at Winter Woofstock? 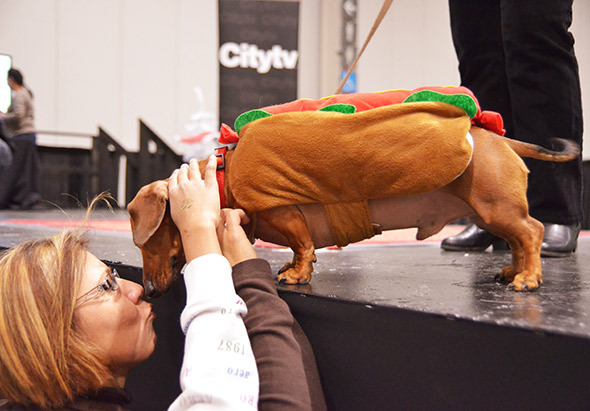 If not, you missed out on the ultimate lovefest for dogs! 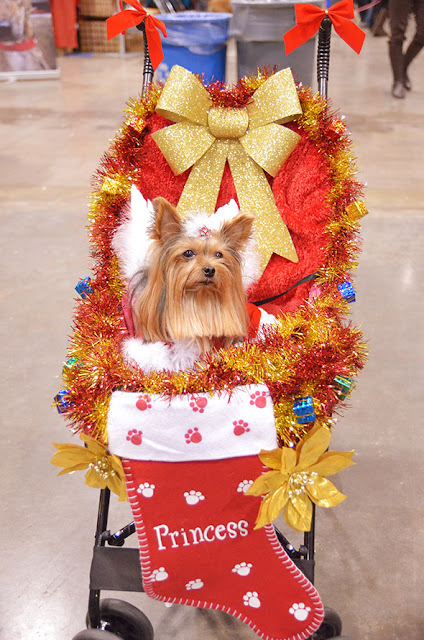 The Direct Energy Building was transformed into pooch heaven this past weekend as doggies and their owners came out to celebrate the holiday season with the latest in food, fashion, accessories and healthy pet living. 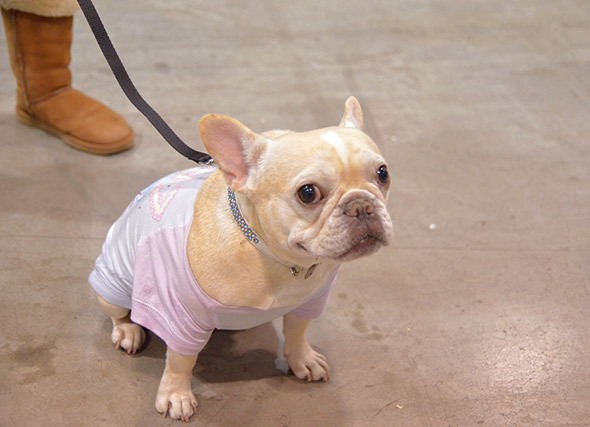 Winter Woofstock is in it's second year and only getting bigger and better! 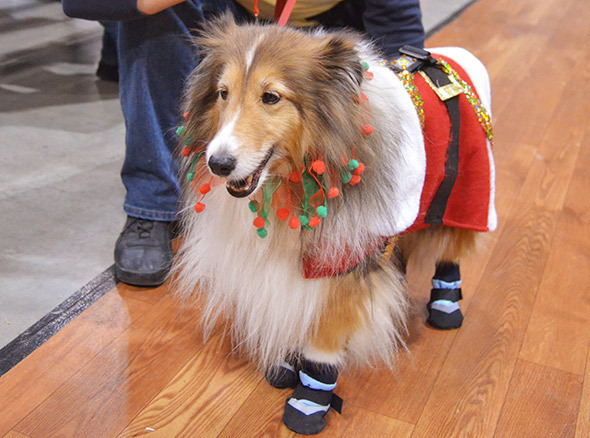 This year, there were over 150 vendors selling all sorts of things to spoil your furry friend! Everything from gourmet food to posh bedding to designer clothes. Aside from all the shopping, other highlights included “Breakfast with Santa”, “Best Costume Contest” and “The Running of the Pugs”. I think these events are great as they strengthen the bonds between us and our beloved pooches. For some R&R, we kicked back in the VIP Lounge to rest our feet and paws on leather couches and plush dog beds. Pip, Linus and I spent the day at Woofstock hanging out with old friends and making new ones. 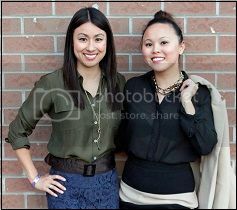 We had a great time and left happily stocked with food and holiday treats. Summer Woofstock is just 7 months away! We can't wait for sunshine and warm weather so hope to see you there! 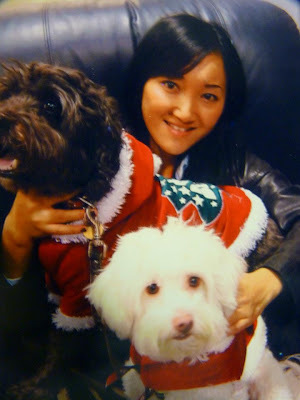 Thanks to our guest-blogger, Sandy Sun for covering Woofstock on behalf of hug!